The Musée Carnavalet in the Marais and the Musée Jacquemart-André in the 8th were a lot alike to me. Great old formerly private homes with high French decor turned into museums with pre-Impressionistic art. I didn’t have my camera with me the day I did the Carnavalet; apologies. They do allow you to take photos in both places. No flash, of course. Both have lovely French rooms with incredible plaster work, furniture and draperies. If you’re a fan of interior decoration, particularly French interior design, then you should by all means go to both. The Carnavalet has a little more variation in the room styles. I like the building and decor far more than the art, most of which I find to be static and dreary. The gardens at the Carnavalet are far more beautiful than those of the Jacquemart, which has only a small courtyard. Still, all in all, I prefer the Jacquemart. The Jacquemart is smaller, more focused and more intimate. I don’t always love tons of gilding, but here it works. It’s rich and ostentatious, but somehow completely tasteful, too. And the artwork includes some Rembrandts, some Van Dycks, and many other wonderful realistic portraits, as well as some stellar religious artwork and some beautiful doors, perhaps Moroccan. I feel quite kindly toward Nélie Jacquemart, an artist herself, a woman from humble beginnings who became a great patron of the arts as well. I can feel her presence throughout the museum, which was originally her home with her husband (also a lover of the art and the source of her wealth), Edouard André. They collected many styles of artwork from all over the world. My favorite part of the museum, however, is their private quarters. I experience this museum as more of a grand home tour. 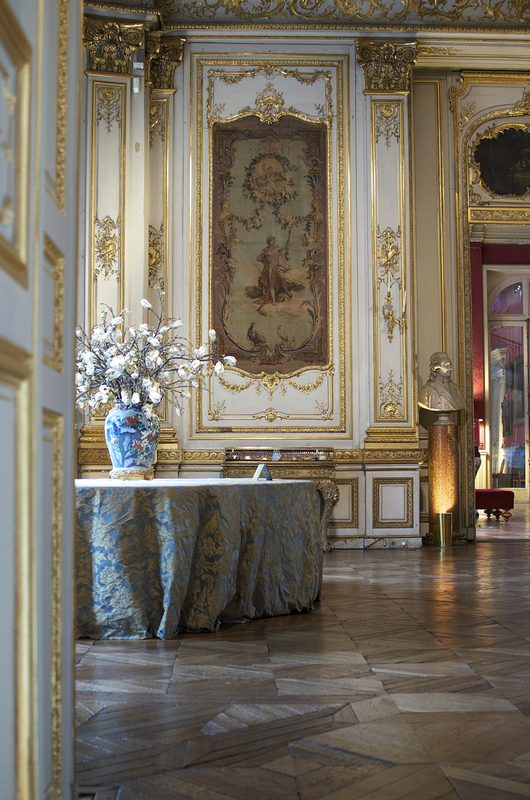 Those gold curtains, the metalwork and the chandelier in that French blue sitting room … spectacular. Btw, there’s also a very nice and unusual gift shop at the Jacquemart with great items and a point of view in keeping with the museum. The Carnavalet is free, so if you have time, why not stop in. 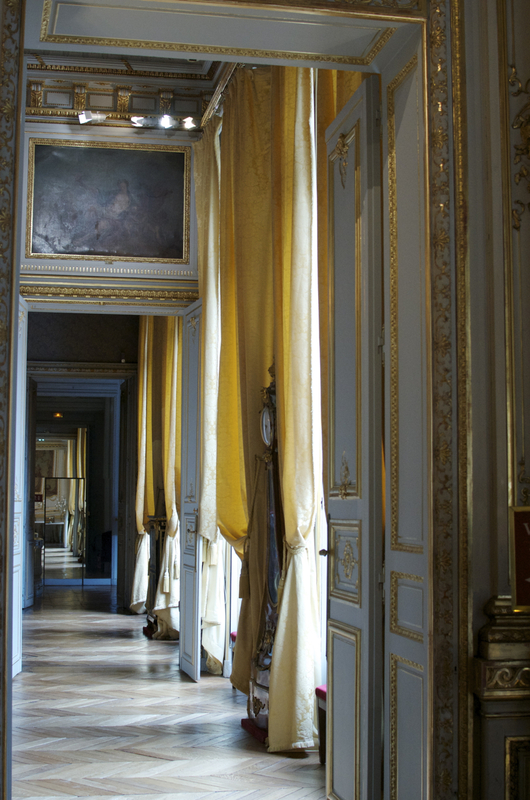 The Jacquemart is 11E, including a free audio guide in English. I can’t say that I’d be heartbroken if I’d missed either museum. I certainly didn’t love them as much as the museums Montmartre, Marmottan, L’Orangerie and D’Orsay. But I’m happy I saw them both. travel to look at an purchase art. What a way to live. But … who would do the ads, then?